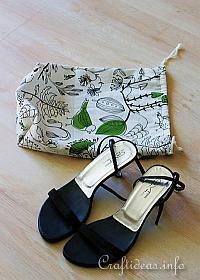 If making a shoe bag, this bag is measured for a woman’s shoe size 8 1/2 (American) or 40 (European). You may wish to increase the width and length measurements for a larger shoe size. 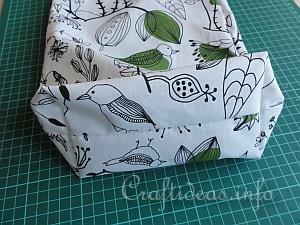 The shoe bag for this tutorial was made with extra light cotton fabric. That has the advantage that it does not take up too much weight in a suitcase. That is especially important when travelling by plane because of the weight restrictions. 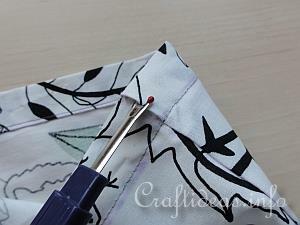 Unless otherwise indicated, use a 0.75 cm or 0.3 inch seam allowance when sewing this bag together. This allowance is already considered within the measurements of the cut bag. 1. 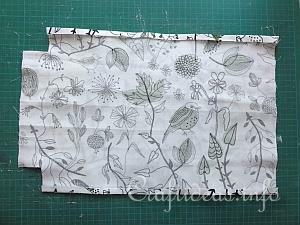 Cut 2 pieces of material out with the size of 34 cm x 40 cm. (13.3 inches by 15.7 inches). You may of course vary the width or length to fit your own needs. 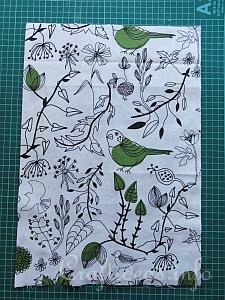 The long side of the fabric is the length of the bag and the short side the width. 2. 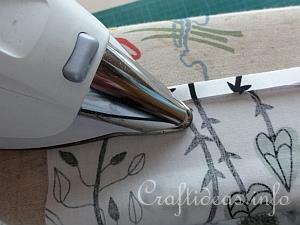 Fold over each of the long sides by 1 centimeter and press in place. 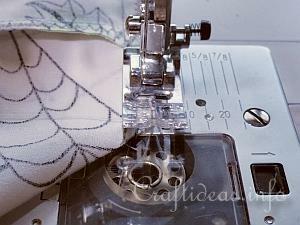 This step prevents that the cording will fray the fabric when you open and close the bag once it is finished. 3. Then place the 2 bag pieces on top of each other so that the right sides are facing each other and on the inside. Mark 2 squares the size of 4 x 4 cm or approximately 1.6 x 1.6 inches at each bottom corner of the bag. Cut those squares out. 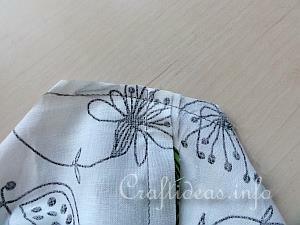 Then sew each side edge and then the bottom edge. 4. Now you have the two corners that need to be sewn. 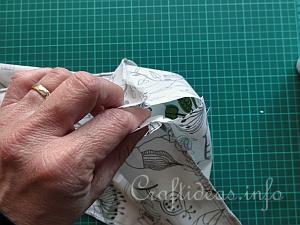 You simply align the side and bottom seams of each bottom corner together and pin the edges in place. 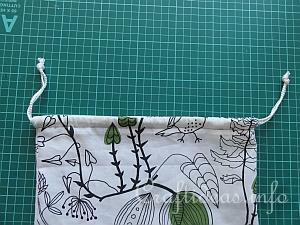 Cutting and then sewing these corners creates a floor for the bag. 5. 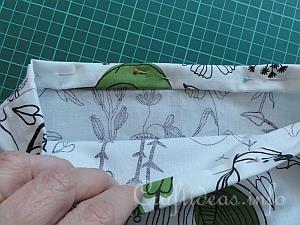 Then sew along each bottom corner edge. 7. Now you can turn the bag inside out so that the correct side is outwards. Here you can see the floor of the bag that was just created by sewing the corners together. If you have a thicker or stiffer material, the bag can even stand on its own. But with this very thin material, it will not. 8. 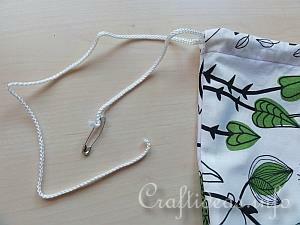 Now you will create the “tunnel” to insert your cord at the top of the bag. 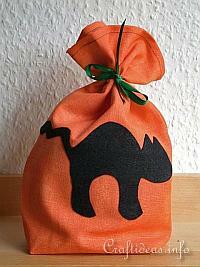 You need to fold 2 cm towards the inside of the bag and then again fold 2 centimeters towards the inside of the bag. Pin and press in place with an iron. 9. 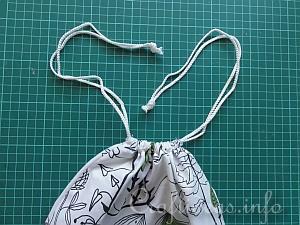 Then sew a line around the bag close to the folded edge and pin in place. 10. Now open a couple of stitches of both side seams between the top edge and the line you just sewed. This is where the cord will be inserted. 11. You will need 2 x 1 meters of cording. 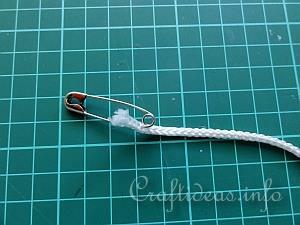 Attach a safety pin to one end of the first cord. 12. 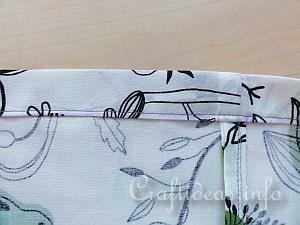 Starting at the right side seam, insert a safety pin through one cord end and insert it in the opened seam. Pull the cord completely around the top of the bag until the end comes out to the beginning again. You now have two ends on right side of the bag. Now repeat this step for the left side of the bag. Both sides should look like this image. 13. Now knot each the left side and then the right side ends together. 14. When you pull both sides you can close the bag. Click here for a larger image and supply list to make this project. use steps 1-9 to make this goodie bag. This is not using a drawstring, but rather the top is sewn nicely and a ribbon is used to tie it off.